In a year that gave utterance to the reunions of Tye Tribbett and GA and Bishop Hezekiah Walker and Love Fellowship Crusade Choir, the Divine has sanctioned the reunion of one of America’s most beloved choir’s, Reverend Milton Brunson’s Tommies. 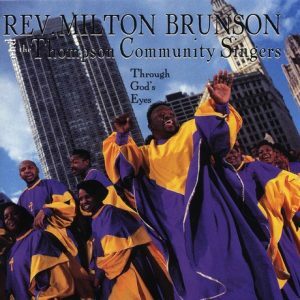 The Chicago based ensemble dominated Gospel music with soul stirring and heartfelt performances introducing the world to Tina Watson, Kim McFarland, Leanne Fainne, Percy Bady, Tyrone Block, Tommy Stewart, Ethel Holloway and many others. Their albums became the new hymnbook with such masterpieces as Lord, Im Available To You, There Is No Way, Cleansed By The Blood, He’s Still Good, He Cares, If I Be Lifted, My Mind’s Made Up, Over and Over and the list goes on. On August 29th, all roads will lead to the New Faith Baptist Church outside of Chicago for the Tommies Reunion Live CD and DVD Recording. The momentous occasion pairs singers some old and new with the Tommies’ unique Dream Team of Darius Brooks, Percy Bady, Steve Huff, Kevin Brunson, Tyrone Block, Al Willis and Richard Gibbs for a night of healing through the power of anointed music. Check out the Tommies Reunion website for ticket, hotel info and other details.